BioWare magic. As we learned about the difficulties during the development of Anthem, that was a phrase that came up a few time in Jason Schreier’s Kotaku article. As much as we may love great and legendary developers and the games they create, it’s disingenuous to think that the creation of those games came without struggle and immensely hard work. God of War didn’t come together to win all of the awards because of Santa Monica Studio “magic.” Resident Evil 2 isn’t the result of Capcom just slapping a “fresh coat of paint” on…well, Resident Evil 2. While I advocate that games are good and magical while we’re playing them, there’s also a bit of damage to be done be believing that they’re made in the same way. So how best to dispel the myths of “developer magic,” regardless of which studio it is? For that, we look to movies instead. One of the best arguments for still buying movies physical is the wealth of behind-the-scenes features and director’s commentary that come with the production. Does this peek behind the curtain dispel some of that movie magic? Yes, it might, but it also provides a lot of insight into the work, time, and difficulties that go into production of a film. As much as I’ve watched all of The Lord of The Rings extended editions, I have probably spent an equal amount of time watching all of the behind-the-scenes featurettes, cast and crew interviews, and director commentaries that accompanied the production. And I have a greater appreciation for these films precisely because I know how they were made. 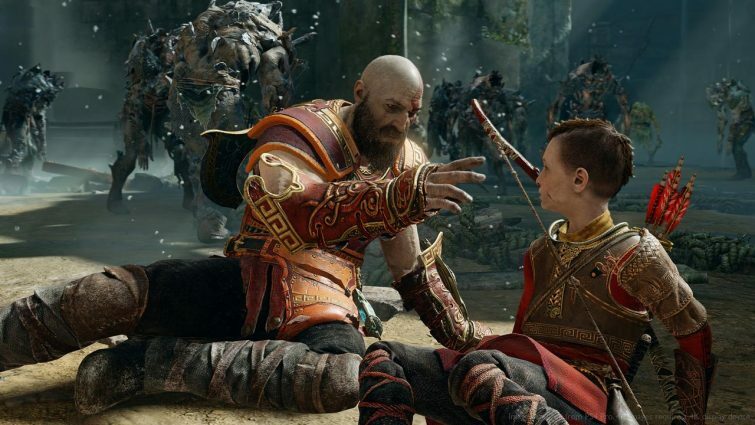 There’s a storied and long development behind the amazing God of War. Hearing those stories is important. Part of what makes my job so amazing is the ability to get a little window into this whole video game development process. I get to see the passion, the work, and the effort. I get to talk to people about the development process, the difficulties, and the repeated failures that led to finally getting something right, something that worked. Games aren’t magic, but it is a miracle that they even work at all. The path from idea to execution isn’t always a straight one, and sometimes the place you end up isn’t even where you were headed. The path from idea to execution isn’t always a straight one, and sometimes the place you end up isn’t even where you were headed. At the beginning, you have a near limitless concept, one that has to get brought down to earth by the capability to execute it. We saw this with Anthem. The original gameplay reveal wasn’t actually gameplay, but a proof of concept masquerading as the actual game. Viewers were led to believe this was a slice of a larger project, but what we were seeing was basically everything they had at the time. As they tried to expand on that idea, they ran into problems and discovered that elements had to be pared back or cut altogether. And yet we had to hear all about it from a botched launch and Schreier’s Kotaku article. What if, instead, right in the game, we were able to hear it from the developers themselves? How Would Developer Commentary in Video Games Work? There are a couple of ways they could accomplish this. Right in the game’s main menu, there could be an option for extras, features that would detail various aspects of the game’s development process. Interviews with the devs and people working on the game. Already there are games that include features like concept art for players to view, but I think it would be even more valuable to hear some of the interesting stories from during development. The other option would be to include a developer commentary mode in the game itself. Perhaps able to be activated on a second playthrough, or scattered as collectibles throughout the world, these would allow the player to engage with the commentary in real time while playing, as opposed to side-loaded features that they may or may not watch. Imagine hitting the tentacle scene in Dead Space and hearing Glen Schofield himself talk about the difficulties of getting that whole concept to work right, and how finding the solution transformed the studio at Visceral. I mean, sure, you can watch it on YouTube if you really want to seek it out (or just click the link above), but having it right in there as part of the game would be a way to get more people to engage directly with it. Grim Fandango Remastered had this option as Tim Schafer and others involved in development looked way back at the original. In order to dispel the belief that games development is this easy and magical thing, we have to pull back the curtain on the bumpy road to launch. Developers need to show players what worked and what didn’t. It’s easy to think that some feature in a game should just be expected, but so many times when you learn the behind-the-scenes stories, you find that there’s a lot more complexity that goes into very simple design decisions than one might imagine. Those are the stories that need to be told. The troubles. The struggles. The “aha!” moments. 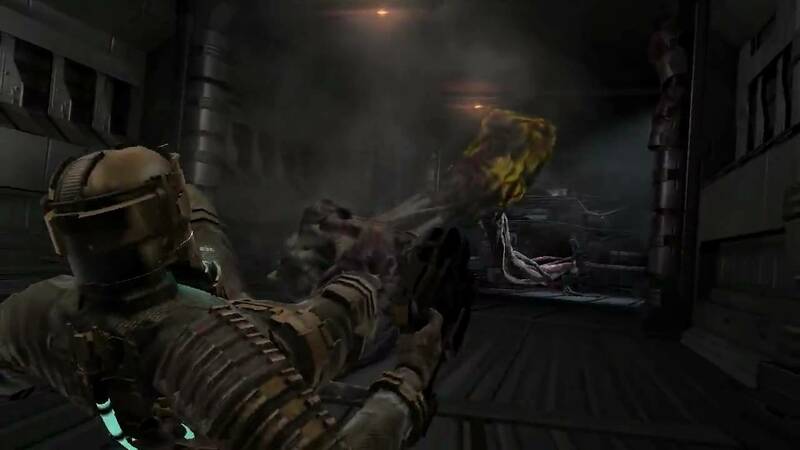 This one short sequence in Dead Space nearly derailed the game, and changed the studio forever. I realize, though, that this presents a whole new problem. Developers are supposed to be working on the game, right? If they are already having such struggles with development, how can we expect them to also be telling the stories of these struggles and adding them as features to the game? I’m not a developer myself, so perhaps that is too much to ask. But I think it is something at least worth considering in order to help combat some of the toxicity that can occur when players expect that things are easier than reality will allow. The other downside to this plan is the notoriously strict NDAs that typically prevent developers from actually talking about things. 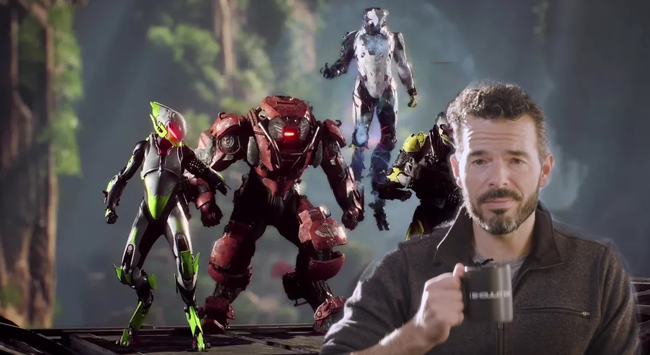 The story of Anthem’s development had to be told through anonymous sources because the people at the studio weren’t allowed to discuss the development process. So how do you then document the development process without the potential of leaks and other PR nightmares? It might simply not be possible. In many ways, I feel that’s the role that us game journalists get to play. We get to connect the developers with their players and tell their stories. We get to pull back the curtain and dispel some of the magic to reveal that games are made by real people, for the rough journey that they take to finally release in a playable state. If players can understand some of that better, then maybe there would be a greater acceptance of the little things and the ability to focus critique from a meaningful place of understanding.